Protein is essential for living a strong, healthy life at any age. But not all protein is created equal. So, it’s crucial you get the right protein… and now you can with ProPlant Complete Shake. HOW MANY JARS SHOULD I ORDER? The most popular order for new customers is the 2-jar package. However, longtime customers usually opt for the 3-jar option, which gives you even greater opportunities to save. 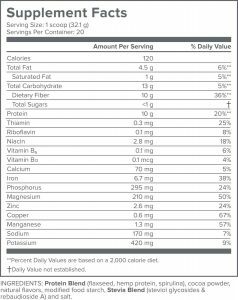 WHAT ARE THE INGREDIENTS IN GUNDRY MD™ PROPLANT COMPLETE SHAKE? HOW SAFE IS GUNDRY MD™ PROPLANT COMPLETE SHAKE? ARE THERE ANY SIDE EFFECTS? 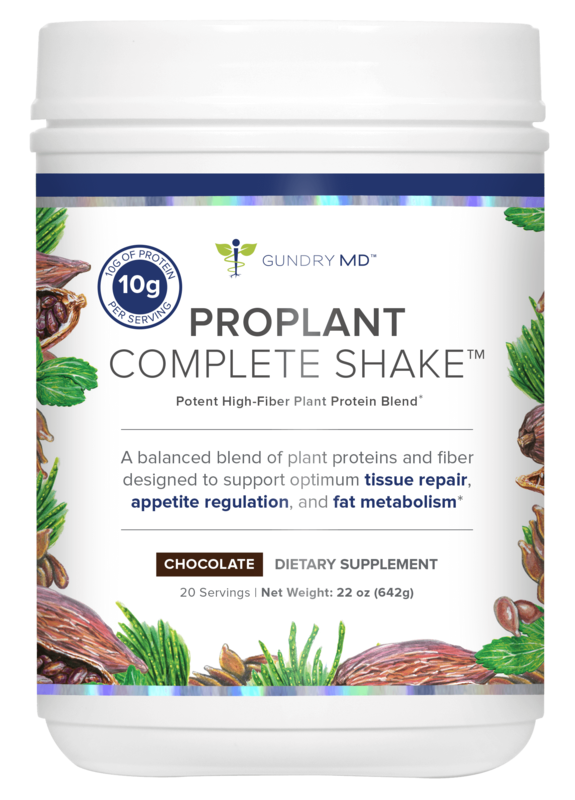 Gundry MD™ ProPlant Complete Shake was formulated for maximum all-natural purity. It should be effective and safe for daily use for the vast majority of people. Of course, I recommend consulting with your physician before using any supplement, including Gundry MD™ ProPlant Complete Shake. HOW DO I USE GUNDRY MD™ PROPLANT COMPLETE SHAKE? For maximum effectiveness, I recommend taking Gundry MD™ ProPlant Complete Shake once per day. Simply mix two scoops into any beverage of your choice — water, unsweetened coconut milk, or smoothie — and you’re good to go! Many users report a distinct improvement in digestion, energy, muscle strength, and overall health within just a few days of taking Gundry MD™ ProPlant Complete Shake. However, for many users, the most dramatic results were first noticed over the course of 2-3 weeks. Please use as directed. WHAT IF PROPLANT COMPLETE SHAKE DOESN’T WORK FOR ME? IS THERE A GUARANTEE? I’m confident Gundry MD™ ProPlant Complete Shake will offer you powerful support for your entire body. But I also understand no two people’s systems work the same way, so a small number of people might find ProPlant Complete Shake does not give them the benefits they need. That’s why each jar of ProPlant Complete Shake comes with my personal 90-day guarantee. 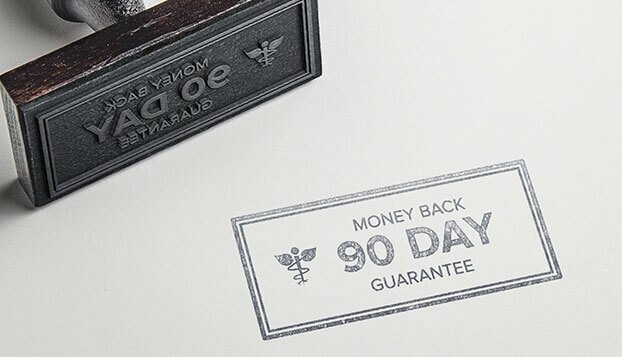 If, for any reason, this formula does not give you improved energy, digestion, and whole-body wellness, just return what you haven’t used within that time for a full, no-questions-asked refund. I’ve been using ProPlant for several months and am really pleased. The flavor is excellent and the fiber content outstanding— it really keeps me regular. As importantly, the plant based ingredients are better than any other protein drink I’ve been able to find. It’s a great meal replacement that keeps both my tummy and body satisfied! 5 out of 5 Nutritious, filling...and really tasty! I got in on the first batch of ProPlant and felt so lucky. I have tried nutritional shakes before and although some were tolerable in taste, they were just that. How wonderful to have a plant based shake for me to use as a meal replacement that is Plant Paradox compliant and really delicious. Some nights I get home late and am simply too tired to cook, but a ProPlant shake fills me up, feels like a treat and is full of nutrition. I LOVE this product! 5 out of 5 I love this shake because with the New Energy Booster, and a little Stevia it is even more delecious. I have it for a meal replacement, and I seem to be able to control my weight even better.